Packaging industry veteran Brent Moore will lead Cal Poly’s newly approved Packaging Value Chain Center, the university’s Packaging Program announced. Moore has more than 20 years of experience in packaging-related research and development, and supply chain management. In his role as the administrative director, he will lead fundraising efforts for the center while building relationships with industry partners to enhance the educational and research opportunities for packaging students. Moore will start at Cal Poly on June 26. Moore, who holds a degree in packaging from Michigan State University, began his career at Mars Inc. in packaging engineering and purchasing roles before becoming vice president of supply chain of the global manufacturer of candy, pet food, and other food products. 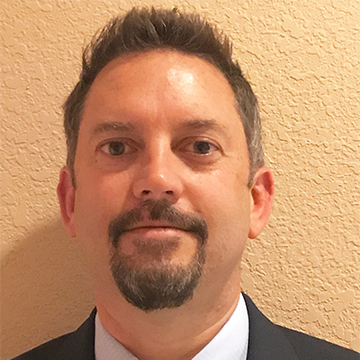 Moore also led Pharmavite in Los Angeles as divisional vice president of procurement and lean supply chain of the dietary supplements company. While at Pharmavite, Moore created and implemented a product innovation team that bolstered the company’s marketing efforts. His most recent role has been vice president of operations at Corr-Jensen Inc., a leading marketer of health and wellness products, in Denver. Cal Poly’s Packaging Program recently received approval from the university on its plans to establish a Packaging Value Chain Center in the Orfalea College of Business. The program aims to be the nation’s leader in packaging value chain education and research, which prepares students to leverage packaging’s impact at every step of the supply chain, from materials management to branding. The center will be the only one of its kind housed within a business school. In addition to bolstering lab space and Learn by Doing projects in its undergraduate program, Cal Poly will debut an online Master of Science in Packaging Value Chain program in 2018. The program will also include specialized certificates in packaging value chain, including specialized certificates in packaging design, analytics and marketability. With the center in place, the Cal Poly Packaging Program Consortium also aims to grow, adding health care and food and beverage research projects to its current specialty of fresh produce research. The consortium serves the packaging industry through fundamental and applied research in the technologies of the industry and as an active program of knowledge and technology transfer. Cal Poly’s Packaging Program continues to make national headlines. In April, ValueColleges.com ranked the program No. 1 among the top 20 packaging programs in the nation. The ranking was based on the program’s affordability, the university’s U.S. News and World Report rankings and U.S. Department of Education College Scorecard salary data.